Oyo, the great exporter of slaves in the eighteenth century, collapsed in a civil war after 1817, and by the middle of the 1830s the whole of Yorubaland was swept up in these civil wars. New centers of power--Ibadan, Abeokuta, Owo, and Warri--contested control of the trade routes and sought access to fresh supplies of slaves, which were important to repopulate the turbulent countryside. At this time, the British withdrew from the slave trade and began to blockade the coast. The blockade required some adjustments in the slave trade along the lagoons that stretched outward from Lagos, while the domestic market for slaves to be used as farm laborers and as porters to carry commodities to market easily absorbed the many captives that were a product of these wars. War and slave raiding were complementary exercises among the Yoruba, who needed capital to buy the firearms with which they fought in a vicious cycle of war and enslavement. Military leaders were well aware of the connection between guns and enslavement. Some of the emerging Yoruba states started as war camps during the period of chaos in which Oyo broke up and the Muslim revolutionaries who were allied to the caliphate conquered northern Yorubaland. Ibadan, which became the largest city in black Africa during the nineteenth century, owed its growth to the role it played in the Oyo civil wars. Ibadan's omoogun (war boys) raided far afield for slaves and held off the advance of the Fulani. They also took advantage of Benin's isolation to seize the roads leading to the flourishing slave port at Lagos. The threat that Ibadan would dominate Yorubaland alarmed its rivals and inspired a military alliance led by the Egba city of Abeokuta. Dahomey, to the west, further contributed to the insecurity by raiding deep into Yorubaland, the direction of raids depending upon its current alliances. Political crises and the wars in northern Yorubaland, which ultimately led to the fall of the Oyo Empire early in the nineteenth century, were prelude to the establishment of the “third Ibadan.”One of the major consequences of this upheaval was the southward migration of a very large number of refugees who had been displaced and rendered homeless by the wars. Some of them went to settle in the unaffected southern fringes of the Oyo Empire—such as Ede,Iwo, and Osogbo—while some established new states of their own,such as Ibadan and Ijaye. Ibadan began as a temporary settlement and war camp (bùdóogun) for the allied armies of Ijebu, Oyo, and Ife who had gone to participate in the Owu War. This was the first major war in southern Yorubaland in the nineteenth century. Beginning in c. 1820, the Owu War dragged on until c. 1825 when the allied forces succeeded in defeating and destroying Owu. The war was hardly concluded when the allied armies, encouraged partly by their success over this very powerful state and the lucrativeness of war (captives and spoils which were acquired), attacked the neighbouring Egba settlements in the fashion of the Owu—total military warfare. These new settlements were joined almost immediately by numerous of the homeless Oyo-Yoruba refugees escaping southwards in response to unceasing Fulani pressure and the confusion and insecurity that accompanied the wars that destroyed the Old Oyo Empire. Many other restless soldiers from Ife and Ijebu kingdoms as well as some Egba aborigines also went to stay in the settlement. But, unlike the other Yoruba sub-groups from Ile-Ife and Ijebu, the Oyo-Yoruba refugees continued arriving at the settlement in their hundreds. The foundation of a new state was thus laid by this motley crowd of soldiers-of-fortune and hundreds of Oyo-Yoruba refugees. For a period of about two years after 1829, there was no strong political authority over all the different components that made up the nascent settlement. There was instead a rather loose, confederate political system binding them together. Each of the major Yoruba subgroups in the settlement had its separate quarter and “government.” The Ife and Oyo, the most predominant groups in the community, inhabited the hilly area of Ojaba and Mapo; the Ijebu lived in Isale-Ijebu to the southeast of Mapo; and the Egba clustered together around Yeosa. Among the Oyo, power was exercised by a host of daring warriors. Unlike the Ife whose army came as a single unit with a head, the Oyo came in different, scattered groups, with different warriors leading each of the groups. The fear, the insecurity,and the wars that brought many of them to the settlement had done much to weaken the socio-political organisation which they had in their former homes. At this time, there was no loyalty to a single leader and none of the warriors had a general mandate to rule. According to the traditions, the political philosophy was oníkálukúlóńse ìjọba ara rẹ̀, that is: “everybody constituted a law unto himself in a way acceptable to the community” and no person could be identified as the ruler. However, there were many self-proclaimed leaders, or recognised brave men who had a host of followers as their subjects. The notable war leaders had a council, the membership of which was ill-defined. The impression which the oral traditions give as to the function of this council was that it existed solely to defend the interest of the Oyo-Yoruba sub-group in the community. A state, with an identifiable small group of rulers who could unite the various sub-groups in the community, was yet to emerge. The Ife section had an advantage over all others. Its professional warriors had recently distinguished themselves in the Owu war and they were regarded as constituting the most powerful force in the new settlement. 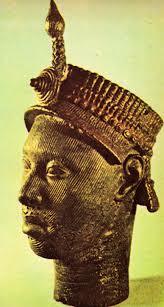 Máyè ̣Okunade, the commander of the Ife army, was regarded as the leader of all the various sections in the community. Oral accounts maintain that Máyè Okunade, was regarded more as an overseer or a coordinator of activities than a powerful, widely recognised and accepted leader. The ordinary citizen was not in any way tied to his government by paying taxes, special levies, or tributes. Máyè Okunade, was not regarded as an Ọba or baálẹ̣̀; he had no palace, no council of chiefs, no crown, and no tax collectors or officials. In other words, he had no paraphernalia of office. The absence of a powerful authority might have accounted for the indiscipline, civil disorder, and unrest that characterised the years between 1829 and the early 1830s. Restless soldiers engaged in street fighting, marauders went about and outside the settlement stealing people’s property, while the powerful generally took the laws into their own hands and instant justice was meted to offenders.